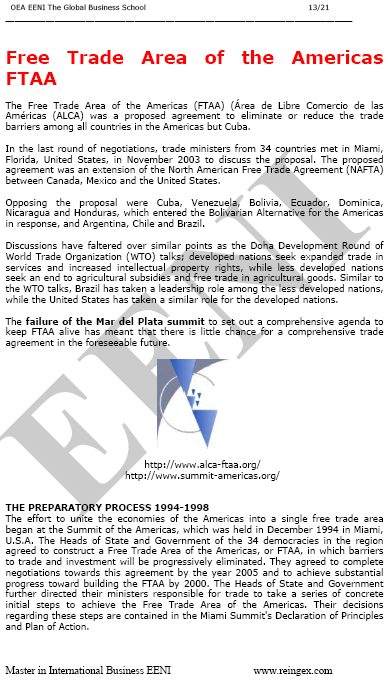 Syllabus of the Online Course (Subject): Organisation of American States (OAS). The Summit of the Americas. Description of the Online Course: The Organisation of American States (OAS). The Organisation of American States (OAS) is the principal political, juridical, and social governmental forum in America. 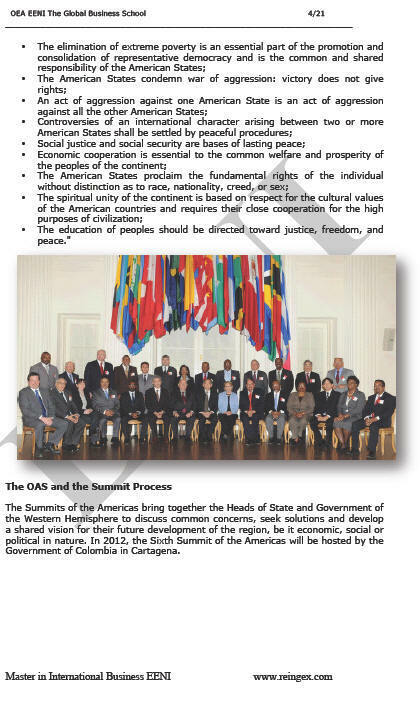 The Members of the Organisation of American States (OAS) are Argentina, Bolivia, Brazil, Canada, Chile, Colombia, Costa Rica, Cuba, Dominican Republic, Ecuador, El Salvador, Guatemala, Haiti, Honduras, Mexico, Nicaragua, Panama, Paraguay, Peru, the United States of America, Uruguay, the Bolivarian Republic of Venezuela, Barbados, Trinidad and Tobago, Jamaica, Grenada, Suriname, Dominica, Saint Lucia, Antigua and Barbuda, Saint Vincent and the Grenadines, the Bahamas, St. Kitts and Nevis, Belize, and Guyana.